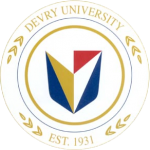 DeVry University offers a wide variety of courses which makes it a popular educational facility for students interested in many different subjects. Students can choose from programs in business administration, engineering technology, network and communications management and more. Graduate students can choose from certificates in business, office management and health information technology. DeVry University has physical campuses, but many students are turning to online options because of the flexibility and convenience. It is important for students to stay on top of their course work because online education is far more independent then on-campus. The accrediation for engineering technology programs varys at different campuses. 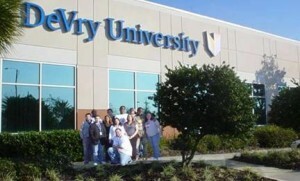 Tuition at DeVry University is the intended to be obtainable for all students. Tuition for those being taught on-campus is the same for those being taught online. Tuition rates are subject to change and are reassessed every semester. The first 11 hours of a semester are charged at one credit hour rate and hours 12+ are charged at a lower rate. Tuition and expenses are assessed regularly. Assessment is performed on a per-semester, per-credit basis. Since DeVry University offers online and on-campus learning institutes, tuition rates vary greatly. Students should keep in mind that there are other incidental fees that they will have to pay for, including course materials, books, and school fees. There are a many different financial options for students offered at DeVry University including scholarships and grants that have totaled over $40 million dollars for the 2012-2013 academic year.